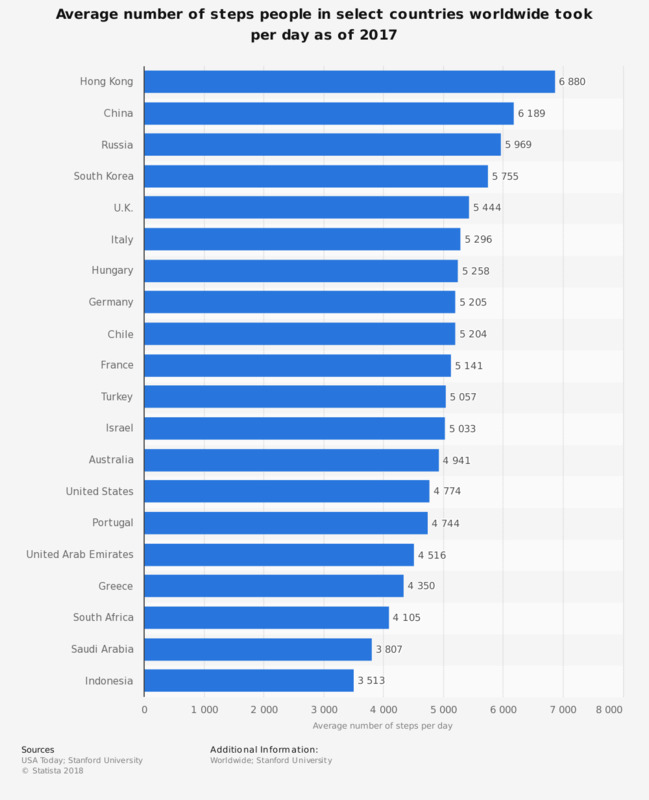 This statistics displays the average number of steps that people in select countries worldwide took per day as of 2017. Of the counties analyzed, those in Hong Kong were found to have the highest average daily step counts, with 6,880. Those in Indonesia, on the other hand, took an average of only 3,513 steps per day. In the last 7 days, on how many days did you walk for at least 10 minutes at a time? How often do you go hiking?